Fritillaria Imperialis should be planted in the Autumn for Spring flowering. Find a location with full sun or partial shade with well-drained, sandy soil, if necessary add sand, grit or gravel to be improve the condition of the area for planting. Arrange the bulbs in an odd-number grouping. If planting in the garden, plant the bulbs about 10-12" apart. Space the groupings at least 3 feet apart. If planting in pots, plant 1 bulb in a 6-8" pot using good-quality, multi-purpose compost, preferably adding sand to the hole to prevent the bulb from rotting. Plant the bulbs quite deep with 6-8" of soil above them. It is best to plant the Crown Imperial bulb on its side, this prevents water collecting at the top of the bulb and causing it to rot. 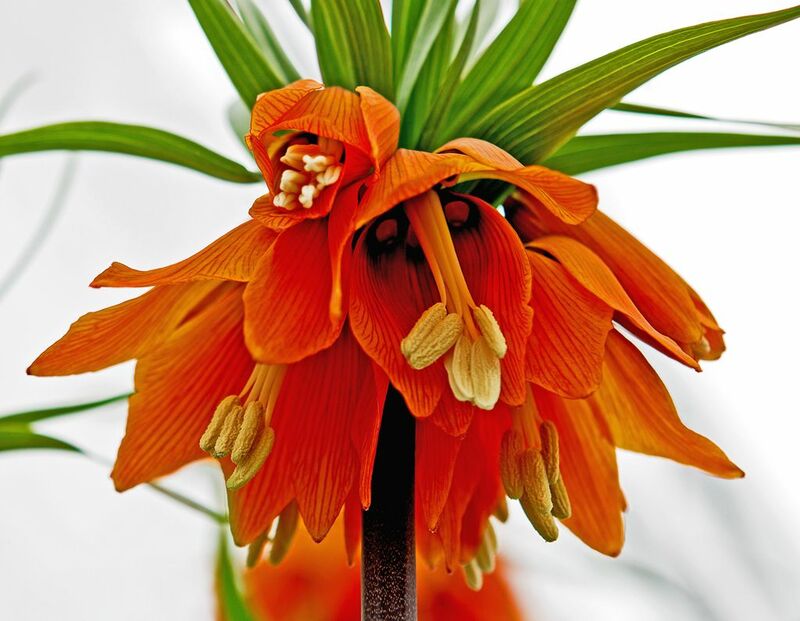 Fritillaria Imperialis can tolerate very cold conditions but they do not like to get wet. If planting in borders in the garden, the soil must be well drained and, preferably, sandy. If planting in pots, make sure the Fritiallaria Imperialis are kept moist but do not get waterlogged. If planting in pots, it may be an idea to tilt the pots on their side in the winter to prevent waterlog. When the Fritiallaria Imperialis has finished flowering, cut any seed heads back and allow the foliage to die back naturally. Fritiallaria Imperialis bulbs will multiply during the first or second year of planting. Ideally, the best time to lift and check your bulbs for dividing is during the months of August and September. Once, you have divided your bulbs, they will all need replanting. Once the Fritiallaria Imperialis start to grow, keep a look out for Scarlet Lily Beetle. See FAQ on 'How do I get rid of Lily Beetle?'. Prevent the Scarlet Lily beetle from ruining your Fritillarias by using our Lily Beetle Prevention spray. 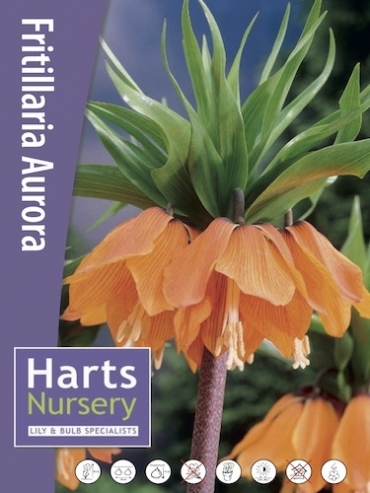 When can I buy and plant Fritillaria Imperialis Aurora bulbs? 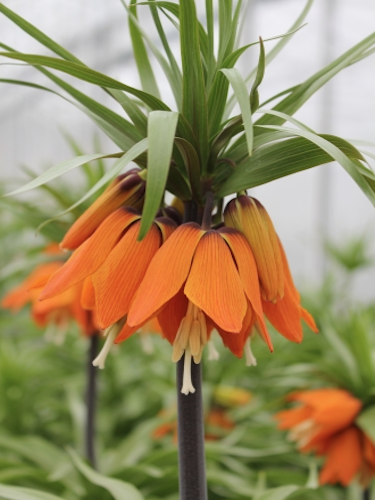 Our Fritillaria Imperialis Bulbs will be available to order from next month and they will be dispatched in the Autumn (Sept) ready for planting.